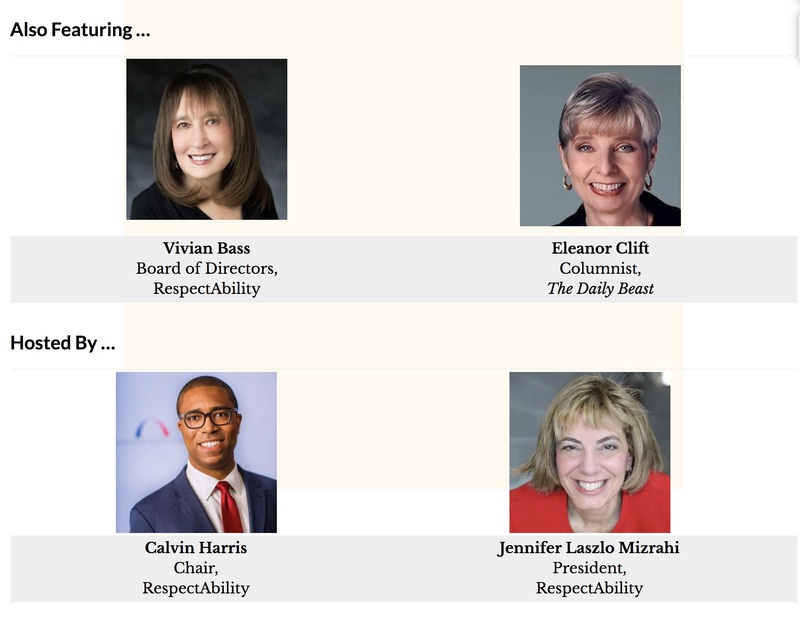 One-day Summit celebrates the good that can be done to end stigmas and advance opportunities for the 56 million Americans with disabilities. All invited to attend or watch webcast. Key goals of RespectAbility include : the ability for all Americans to learn, contribute skills and fulfill their human potential. You are invited to get to know the people and best practices around transformative systems change that can improve the lives of the 1-in-6 people in our nation (56 million people) who live with a physical, mental health, cognitive or other significant disability that is a barrier to everyday living. They are hosting a free gathering in the U.S. Capitol complex (Rayburn House Office Building) on Monday, July 30. They would love for you to join them. 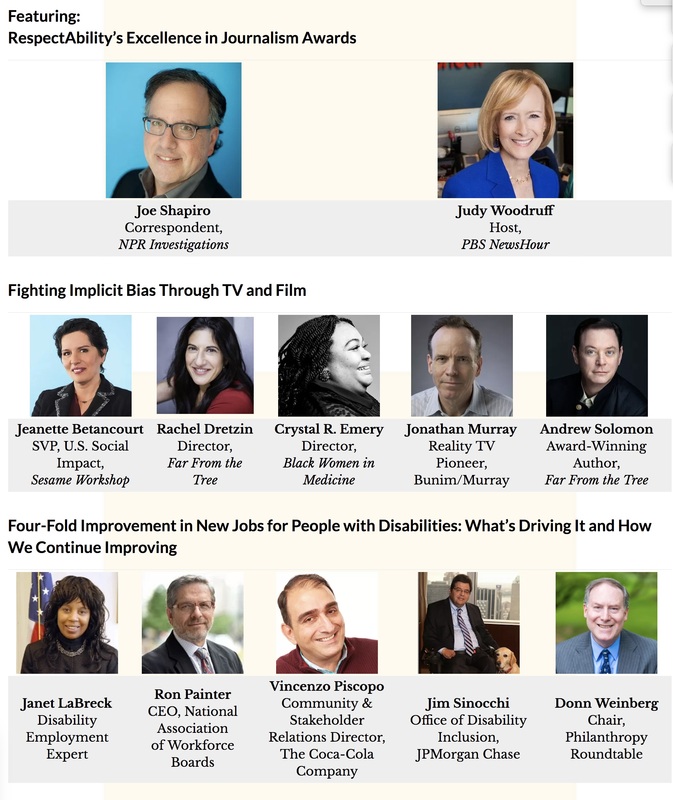 The agenda is below and the bios of all the diverse and outstanding speakers can be found on their website. The people working on the front lines on education and employment for people with disabilities will be speaking and/or in the room. Five of their speakers are blind, four use wheelchairs, one is deaf/hard of hearing and others have a variety of other disabilities including learning and attention issues. 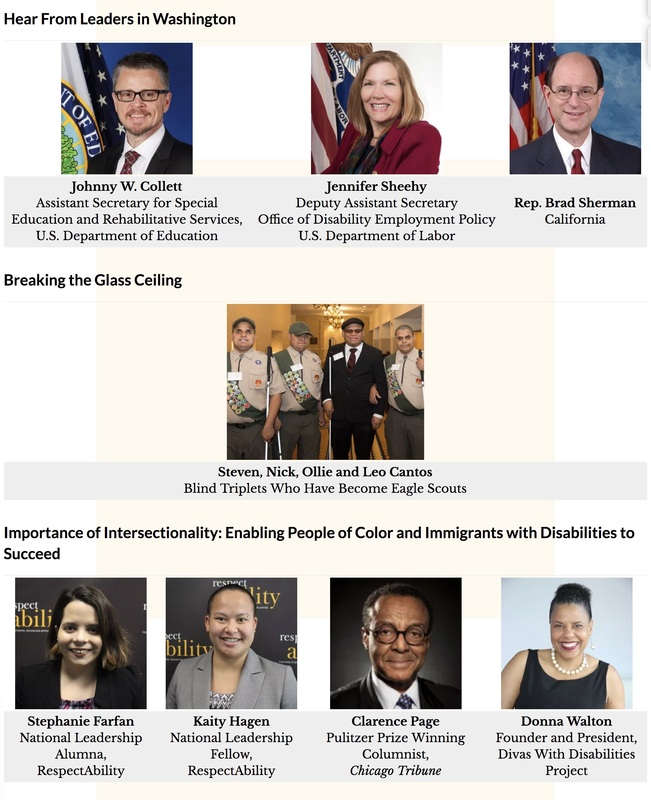 They also have a full panel on intersectionality as people of color and English-as-second-language learners with disabilities face unique challenges and opportunities. Participation is free but spaces are limited. RSVPs are requited. We hope you will sign up now! WHERE: Rayburn House Office Building, Washington, D.C.
MORE INFORMATION AND RSVP: http://bit.ly/July31DC.